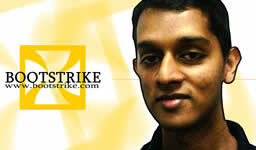 Bootstrike.Com Professional Web Design was founded by Ganesh in the year 2000. In those times, he was doing designing and programming as a side hobby. Inspired by the praises received for his work, he moved on to design websites for companies and individuals. Marc joined him in 2003. Web designing is our core service. We also provide design related services such as posters and PowerPoint designs, hosting and domain registration services. Our team is consistently on the lookout for new technologies and we keep ourselves updated on the trends of the web. Being experienced in programming for 9 years, Ganesh spends most of his time on the Bootstrike.Com Network of sites - tweaking pages and creating articles in order to drive traffic to the site. In the process, he has learnt much about web programming, the principles of web design and most importantly, the usability of a website. He has handled relavant AJAX (e.g. PHP Ajax Domain Checker), Google Maps (e.g.Tompang Buddy and Medic Map) and Digg API (e.g. digg™ more stories per page) projects. His services, besides being in the Web design team, include offering Computer Service software diagnostics and professional Video Conversion services. 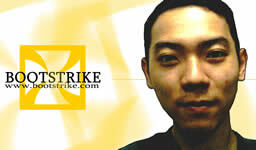 Marc joined Bootstrike.Com after his stint in National Service with Ganesh. He found his talent for designing while working with several graphics programs. Since then, he has done corporate videos, promotional posters for several company events, PowerPoint templates and many internal newsletters. All of the sites in the Portfolio were designed by Marc. He has developed a special talent for mixing of several photos into one beautifully joined image.